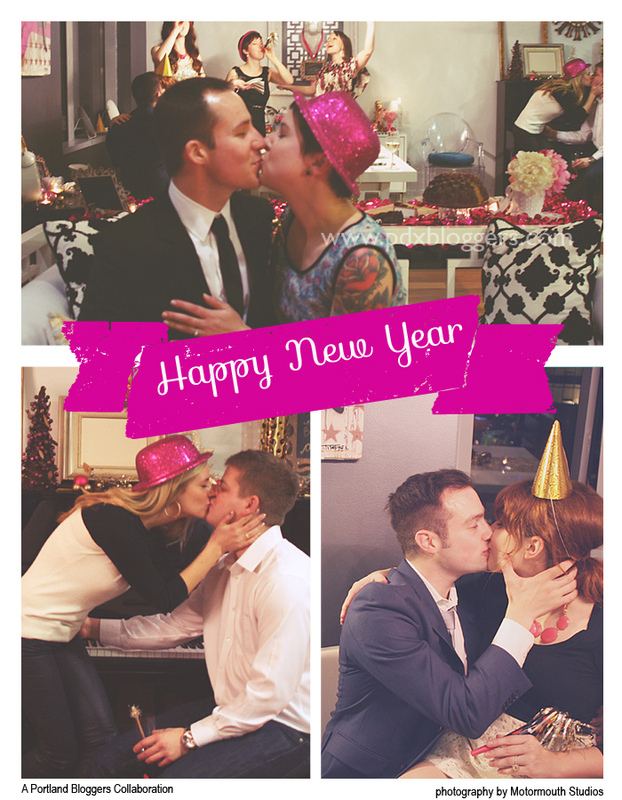 I love the new year. I enjoy the act of starting fresh, making goals for the future, and looking forward. But, one of the things I like to do before I jump head first into the new year is LOOK BACK at what happened the year before. Boy-oh-boy was this a BIG year for the Portland Bloggers. I can’t even begin to look back on this year without first saying THANK YOU to everyone who has gotten involved and help make the Portland Bloggers group into what it has become. Now… onto reviewing 2012! January 2012— In January we prepped for our February meet-up. We had so much help for this meet-up. I got to collaborate with Nicole from Nicole Marie, Who! ?, Sam from Sam Rosen, and Carly from Chic Steals in prep for the February Meet-Up. 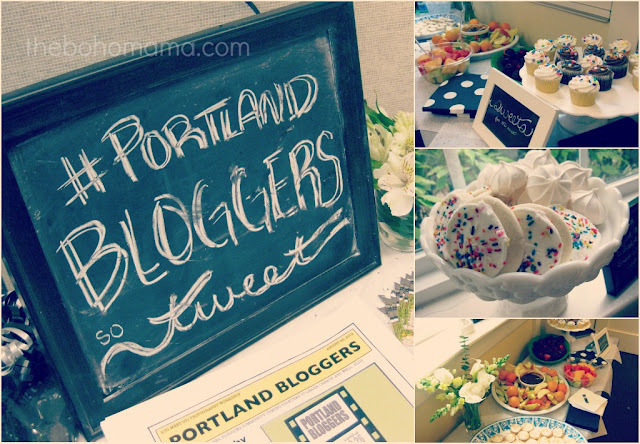 This was also the time we began thinking of the Portland Bloggers’ group as an opportunity for blogger growth as well as a networking opportunity. 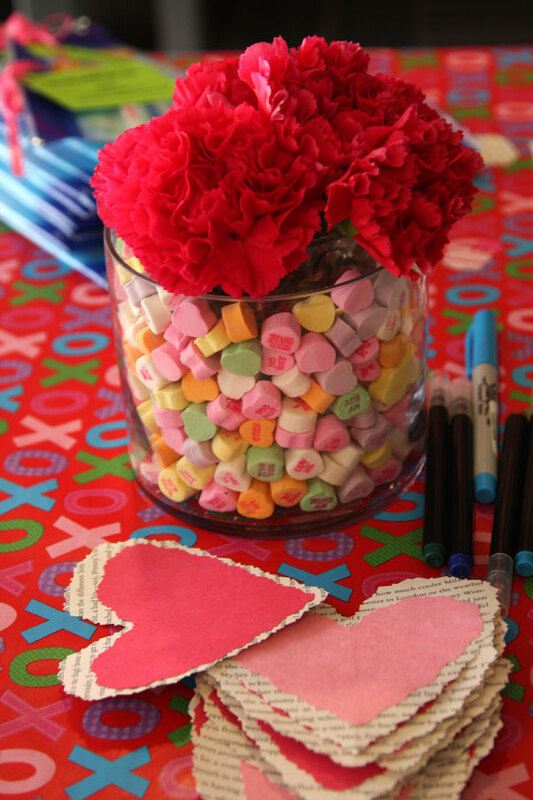 February 2012— The meet-up in February had a sweet Valentine’s Day vibe. The lovely decorations was a collaboration of Sam & Nicole! 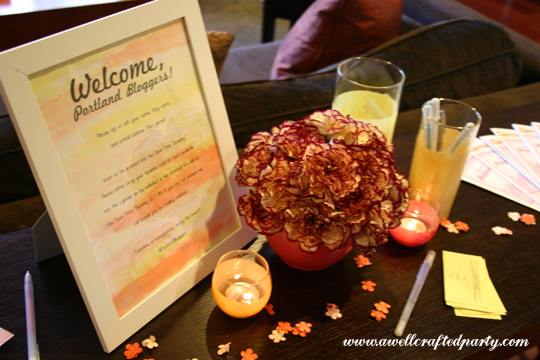 They did such a great job… one of the prettiest meet-ups we had this year! We did a few crafts and enjoyed a talk about Building Blog Readership from Carly. Oh, and mimosas might have been involved. Can’t go wrong there! March 2013— Sam and I got cracking on the April meet-up early on in March. We planned a Spring Cocktail Party so we can meet some of the people behind the blogs. April 2012— The spring cocktail party was the first meet-up to include sponsors. We had such amazing sponsors and everyone involved enjoyed great little goodie bags and opportunities to win giveaway items! I couldn’t have done this event at all if it weren’t for the help of Sam, Adi, and Nicole. The wonderful goodie bag sponsors and giveaway item sponsors included the following companies: Radiant Cosmetics, Nuvre, Blue Strawberry Scents, Meme & Saysay, FiftyFlowers.Com, Cash4Books.Net, and AbleMade . May 2012— In May we had a few extra people show interest in helping plan the meet-ups! We planned for a Family picnic in June… Unfortunately, Portland’s weather wasn’t as helpful as all the Portland area bloggers were! June 2012— The Summer Family Picnic ended up getting moved in doors due to Portland rain (btw… we’ll be having the Family Picnic in July this year). Thankfully, Adi came through with a wonderful venue. We also had decor, setup, and planning help from Suzannah of Adventures in Dressmaking, Courtney of Charmed in PDX, Adi of Garden of Edlen, Macey of Motormouth Studios, Kae of Paper Morning, and Justine of Teenie Tiny Blog. Motormouth Studio and A Well Crafted Party sponsored some giveaway items for this event! July 2012— Okay, for me… this was the most exciting part of the year. 🙂 I had been hoping to put together a Portland Bloggers’ website for a LONG time. But, thanks to the help of Suzannah of Adventures in Dressmaking… I finally made the time to put it together. 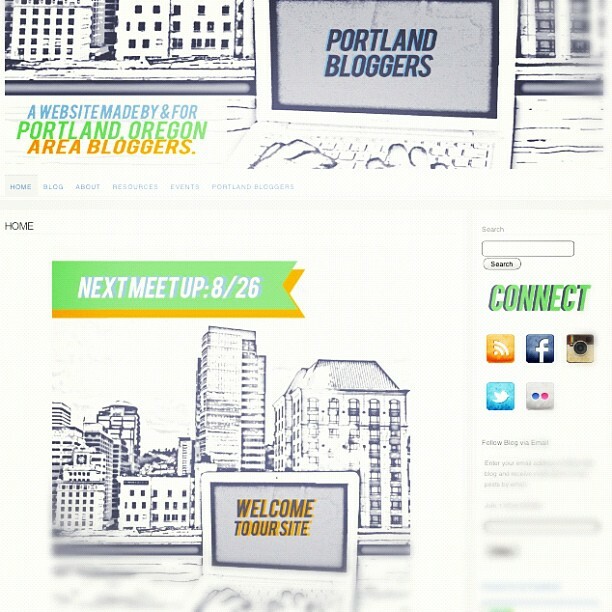 The site is built to grow the Portland Blogging community, host a master Portland Blogger list, and announce events. 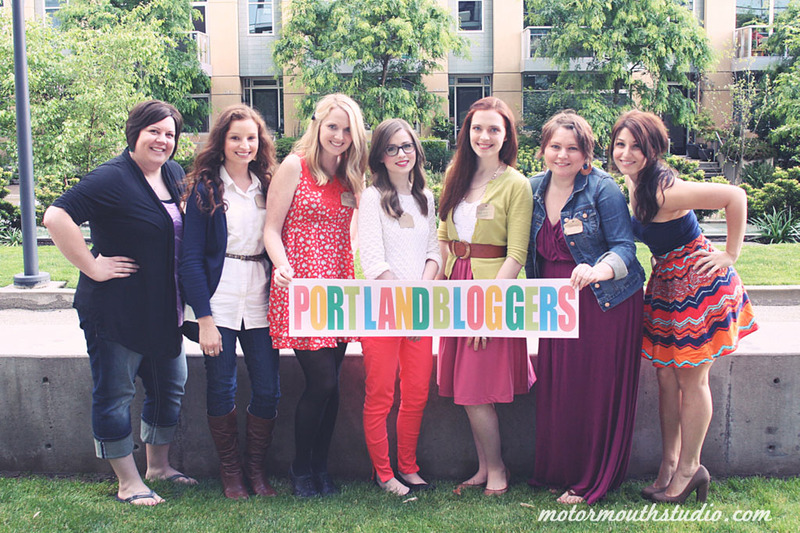 In just a few short months the Master Blogger List has grown to include over 120 blogs from Portland area bloggers! August 2012— Our first workshop was a complete success! The Portland Bloggers’ Photography Workshop and August Meet-up had over 20 attendees, 2 awesome speakers, and lots of photography practice. A big thanks to the speakers— Macey of Motormouth Studio and Becky of Studio 623 Photography; the giveaway sponsors— Nicole’s Classes: On-line courses in InDesign, Illustrator, Photoshop, and Photography. A Beautiful Mess: A DIY, fashion, and style blog with e-courses in art journaling, blogging, and more! Dijana’s Designs: Beautiful handmade jewelry from Portland, Oregon. Motormouth Studio—designer; and the volunteers: Suzannah from Adventures in Dressmaking, Megan from The Boho Mama, and Portland-based photographer and Sam from Sam Rosen. September 2012— September was a month all about planning. We made announcements for the October Bloggers’ Night Out and the November SEO event. We also released some free printable business card images that any Portland Blogger can use in their business card design. This month Macey came on as a co-editor of the Portland Bloggers’ website, joining Jenni & Suzannah. October 2012— We played it simple for October’s meet-up… with all this learning going on, we wanted a nice evening out just to chat and meet new people. 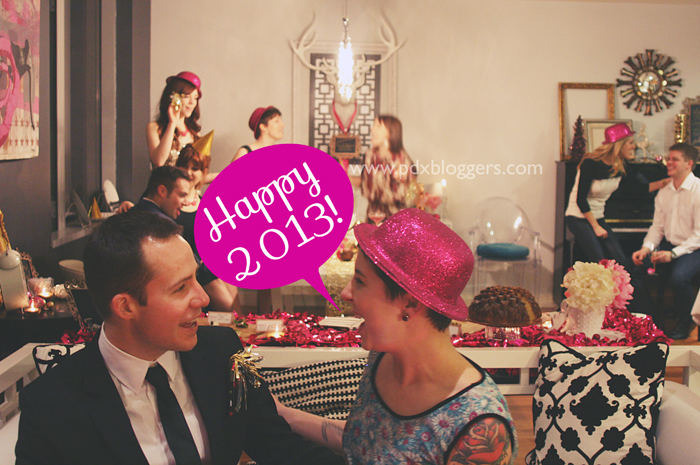 We had so much fun that we decided we will have a Bloggers’ Night Out EVERY year and maybe more than one! November 2012— The final meet-up of 2012 was such a hit! Mike Arnesen spoke about SEO for bloggers. We learned so very much. Big thank you to Suzannah & Macey for helping plan this event. Also, a big thank you to the goodie bag sponsors: Motormouth Studio and Misha Ashton Photography and A Well Crafted Party! December 2012— While the Portland Bloggers’ decided to take a break off of meet-ups in December, we have still been busy planning! A few of the Portland area bloggers got together and did a collaborative shoot that was recently featured on Pizzazzerie.com. Also, plans for the first meet-up of 2013 were set! Love it!! What a great wrap-up! We did do some fabulous events this year!